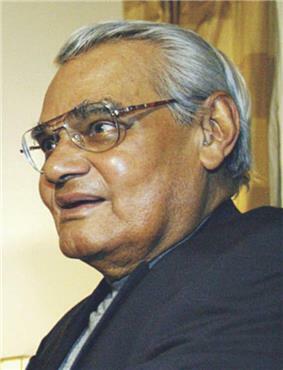 Atal Bihari Vajpayee's NDA Coalition, in coalition with Telugu Desam, secured a large majority in the Lok Sabha. Results of the National and Regional parties. General Elections were held in India from 5 September to 3 October 1999, a few months after the Kargil War. The 13th Lok Sabha election is of historical importance as it was the first time a united front of parties managed to attain a majority and form a government that lasted a full term of five years, thus ending a period of political instability at the national level that had been characterised by three general elections held in as many years. On 17 April 1999, the Bharatiya Janata Party(BJP) coalition government led by prime minister Atal Bihari Vajpayee failed a to win a confidence vote in the Lok Sabha (India's lower house), falling short a single vote due to the withdrawal of one of the government's coalition partners – the All India Anna Dravida Munnetra Kazhagam (AIADMK). The leader of the AIADMK, J. Jayalalitha, had consistently threatened to withdraw support from the ruling coalition if certain demands were not met, in particular the sacking of the Tamil Nadu government, control of which she had lost three years prior. The BJP accused Jayalalitha of making the demands in order to avoid standing trial for a series of corruption charges, and no agreement between the parties could be reached leading to the government's defeat. The incumbent Bharatiya Janata Party (BJP) went into the election as the head of the National Democratic Alliance (NDA), a coalition of over 20 parties. Several other parties in the election not part of the NDA also committed themselves to supporting a BJP led government on matters of confidence. 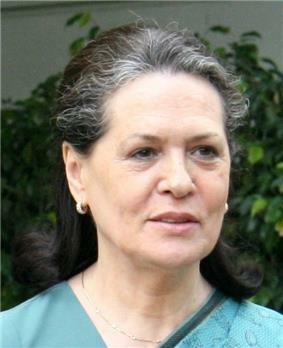 The main opposition league was led by Sonia Gandhi's Indian National Congress, the long-traditional leftist dominant party in India. The opposition coalition comprised far fewer parties, and its alliances were generally weaker than those of the NDA. A so-called "third front" of left-wing, socialist and communist parties was also present, although this was not a strong electoral alliance so much as a loose grouping of parties that shared similar ideological viewpoints and had some inter-party cooperation. There were also nearly one thousand candidates of unaffiliated parties, independent candidates and parties who were unwilling to take part in coalitions that stood in the election. The voting was conducted over five days. Elections were conducted in 146 seats on the Eastern coast of the country on 5 September, in 123 Central and Southern seats on 11 September, in 76 Northern and Upper-Central seats on 18 September, in 74 North Western seats on 25 September, and in the 121 Western seats on 3 October. Despite some fears of voter fatigue, electoral turnout was comparable with previous elections at 59.99%. Over 5 million election officials conducted the election over 800,000 polling stations, with vote counting commencing on 6 October. The results were decisively in favour of the BJP and the NDA, with the formal NDA picking up 269 seats, and a further 29 seats taken by the Telugu Desam Party, which gave support to the BJP-led government but was not strictly party of its alliance. The Congress party lost 23 seats, and its two key regional allies performed worse than expected, however it did regain ground in some states such as Uttar Pradesh (where it had been virtually wiped out in 1998). The leftist parties’ fortunes continued to decline, with the Communist Party of India dropping to just four seats and losing its official status as a "national party".